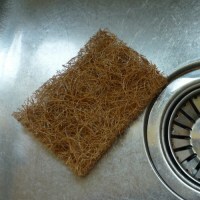 A natural reusable scouring pad made from coconut fiber. Plastic-free and Biodegradable/Compostable at the end of its life. 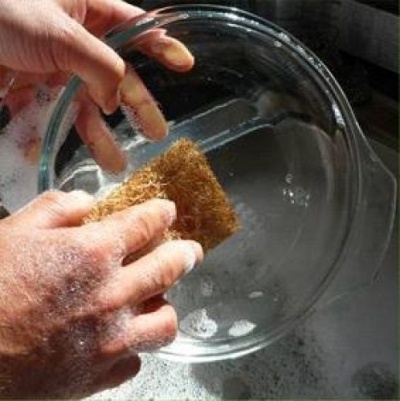 Does not release microplastics into our environment, unlike commercial scouring pads. Available as a single pad or in a pack of 4. 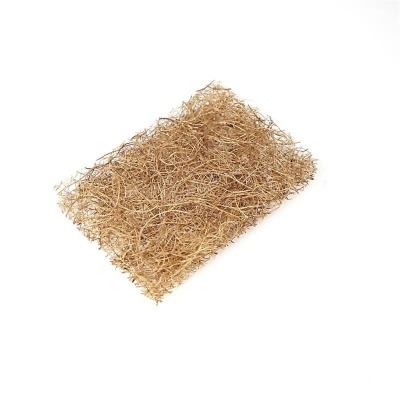 A natural scouring pad made from 100% coconut fibre. Plastic-free and biodegradable/compostable at the end of its life. Does not release microplastics into our environment, unlike commercial scouring pads. Buy more pay less. Available as a single pad or in a pack of 4. A great way to reduce your plastic items within your household. Environmentally friendly and a zero waste alternative to commercial scrapers. Fits perfectly in your hand. A perfect friend for your unsponge or cleaning cloth. 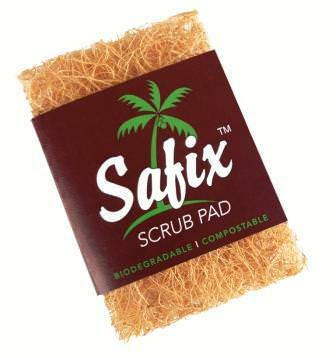 Made from the hair of a coconut and bonded with a natural latex, these are an excellent alternative to the usual green scratchy pads that take off the non stick on your pans. They are fully compostable and made from natural fibers. Stays fresh and effective for months. Uses less soap but produces more suds. Rinse clean after use. Store in a dry area, on a soap dish for example. For a deep clean, soak for a few hours in white or apple cider vinegar - 1 part vinegar to two parts water. Durable and safe for hands, nails, non stick pans even for cleaning your carrots!
. Uses less detergent and scrubbing power! Bought these to replace plastic Scousers and they are great. Removes encrusted roasting tins etc.. doesn't scratch surfaces and lasts better than the plastic ones and these are eco friendly.